Myrtilla Miner was an important abolitionist who took the bold step of opening a school for African-American girls in Washington DC in the years leading up to the Civil War. Michael M. Greenburg introduces young readers to this often overlooked pioneer in This Noble Woman, telling Miner’s story in an entertaining and accessible way. Originally from New York, Miner encountered slavery and racism firsthand while teaching at a school in Mississippi. Bothered by the unfair treatment of African-Americans, she tried unsuccessfully to desegregate the school, enlisting the help of future Secretary of State William Seward and legendary activist and former slave Frederick Douglass. After moving to the nation’s capital, she achieved her goal of teaching African-American girls with the 1851 opening of the Normal School for Colored Girls. By law, slaves could not be educated, but her school opened doors for free African-American girls, some of whom went on to spread Miner’s legacy by becoming teachers. Given the time and location, her school was regularly the target of threats, and even some abolitionists feared it was too risky an endeavor. Greenburg tells Miner’s story well. He tracks her life from cradle to grave, detailing the numerous challenges that she and her school faced. He doesn’t shy away from Miner’s darker side, including her sometimes aggressive disciplining of students and her late-in-life troubles, but he details them without diminishing her monumental achievements. Useful sidebars come every few pages, providing more context on historical figures or events as they arise in the main narrative, from Seward and Douglass to the Wilmot Proviso and the Compromise of 1820. 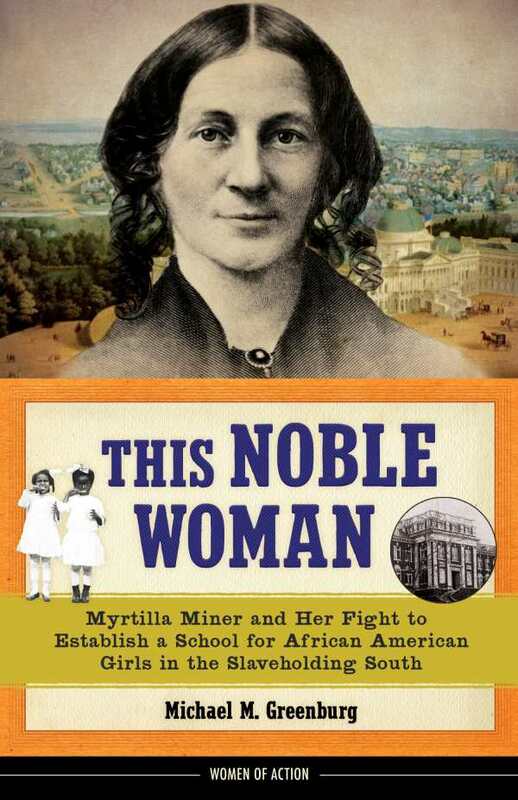 This Noble Woman is valuable in its coverage of the Civil War era and the history of education in the United States, and Myrtilla Miner emerges as a figure more people should know about.